Most workloads are variable over time, either over the day, the week or the year. If you employ flat staffing then you will find that your staff are either over or under worked at times. Neither of which is desirable, as both are fatiguing for the staff and inefficient and expensive for the company. We optimise shift patterns by making them operate to match any given workload. 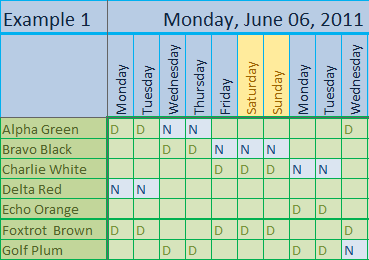 The first stage is making the shift pattern match the workload. This involves creating useable shifts, then rotating the shifts through the staff in a fair and workable pattern. The second stage is running the shift pattern. 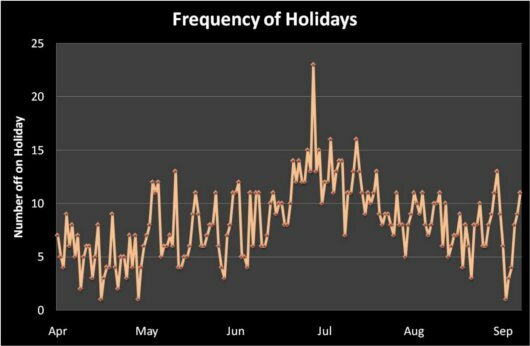 Holidays and absences are big problems to both the staff and the organisation. 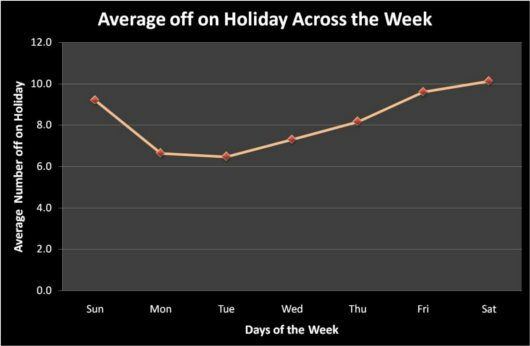 We can create either a holidays included shift pattern or a holiday management plan and cover arrangements to mitigate these problems. The third stage is implementation of the shift pattern. We help negotiate and introduce the optimal shift pattern. An optimised operation will lead an improved service level and to low running costs, higher productivity or higher profits depending upon your desired outcome. If you would like any help optimising your operation please contact us.